Beautiful apartments and suites on Kamari beach, a short walk from the busy promenade. Some units have also a private pool or hot tub, while all of them are equipped with a kitchenette and a dining area. 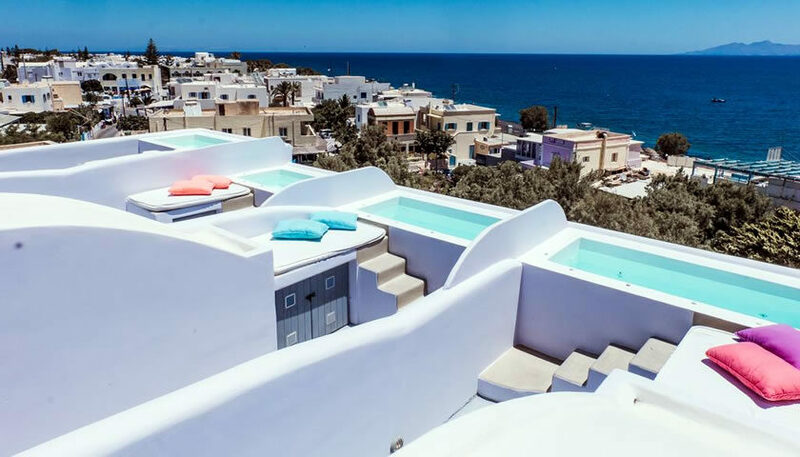 There is a swimming pool and a bar for all hotel’s guests. 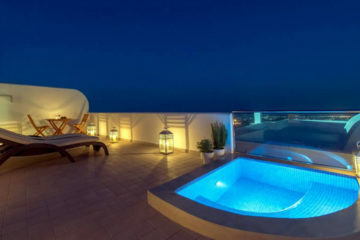 Specify the dates of your visit to Santorini to check availability and prices of Blue Waves Hotel.